Whether you're new to yoga or you've been on the mat for years, breaking down the poses into all of their minor elements can deepen your practice and improve your experience. We'll learn proper breath, where your limbs should go, how to "float" and more! Many yoga classes will begin with a series of sun salutations which are a sequence of movements that serve to strengthen and lengthen most muscles in the body, while also helping to sync your movement and breath to calm your nervous system. 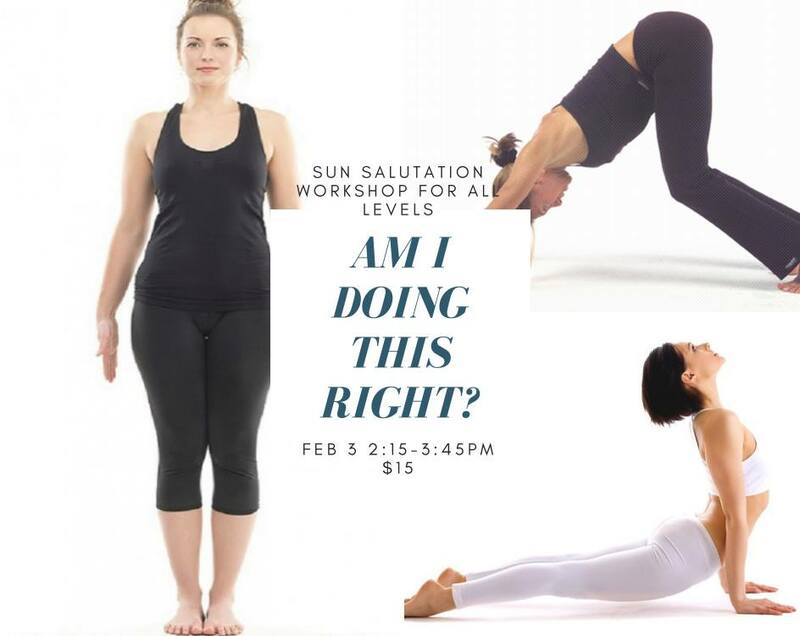 This workshop is designed to help you with your sun salutation by teaching you Sun Salutation A, B & C and by offering tips on alignment, how to move from one pose to the next and using the breath to create flow.